The First Word crew are heading to Ghost Notes for an evening of immaculately sweet sounds and exquisitely dope vibes. Taking place over August bank holiday weekend, they’re intent on celebrating what’s been a pretty special year for First Word, with a whole heap of the label’s roster stepping up to the turntables to spin an eclectic selection of soul, hip hop, jazz, beats, boogie, broken beat and plenty of other stories. Recently dubbed “the UK’s Herbie Hancock” by Benji B, Kaidi is one of the most talented multi-instrumentalists in the game, recently releasing his highly acclaimed solo album ‘It’s A World Before You’ on First Word. From Bugz In The Attic & The Herbaliser, he’s gone on to collaborate with Jazzy Jeff, Soul II Soul, Mulatu Astatke, Amy Winehouse, Leroy Burgess, Amp Fiddler, DJ Spinna, Macy Gray, Mr Scruff and regular compadre Dego (2000 Black), to name but a few. Additionally to all this, Kaidi is an absolute don on the turntables, and mashes up dances across Europe frequently with his uniquely infectious energy and deep, deep crates. Sometimes known as “The Commissioner”, Eric is another regular Kaidi collaborator, behind the decks as well as the boards. He’s revered by DJs, artists and producers across the world for his genius production skills, which can be heard in the work of artists such as Yussef Kamaal, Fatima, Tawiah, Guilty Simpson, Rahel and Oddisee, and an integral player at Jazzy Jeff’s annual PlayList Retreat. His DJing has seen him tour the globe with luminaries like Erykah Badu, Robert Glasper and Questlove. Eric’s releases for First Word include 2017’s ‘Examples’ album, and the RSD Trilogy with Mr Thing, kidkanevil and Tall Black Guy. Additionally to being one half of Children of Zeus (along with Tyler Daley), Konny has been a DJ for a few decades now, originally for Broke’n’English with DRS & Strategy. These days, additionally to MCing and producing for CoZ, he hosts a popular monthly Sunday show on NTS Radio in Manchester, and occasionally steps behind the decks chopping through hip hop, soul, bruk, garage and more in clubs across Europe. Children of Zeus recently released their debut album ‘Travel Light’ to an incredible response globally, already being heralded as “album of the year” by the likes of Goldie and loads more. Making her first public performance as a DJ on this bank holiday special will be singer-songwriter Yazmin Lacey. First and foremost a massive music lover, Yazmin will be drawing a selection of her personal favourites. First Word’s most recent signing has quickly caught the attention of tastemakers far & wide, from Gilles Peterson to Josey Rebelle, with her sell-out second EP ‘When The Sun Dips 90 Degrees’, the follow-up to 2017’s debut ‘Black Moon’. She’s worked with artists such as Skinny Pelembe and performed live on various shows for Jazz FM, 1Xtra and more. Yazmin kicks off a UK tour in November. 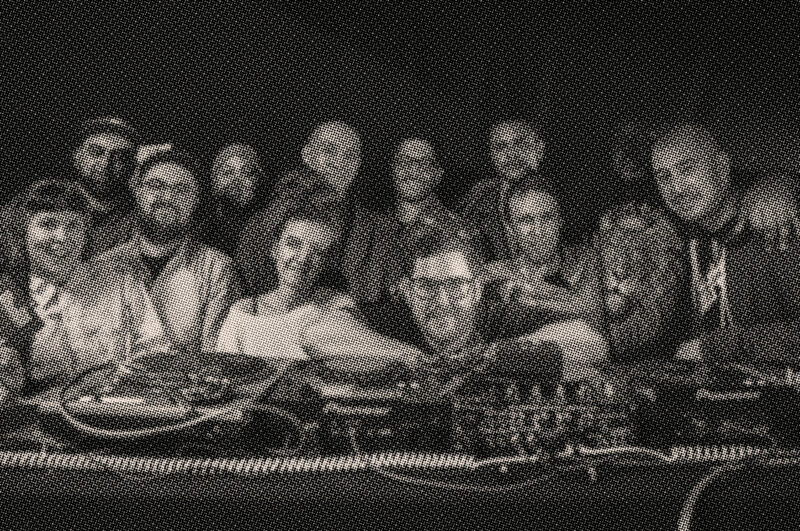 In addition to founding First Word Records in Leeds almost 15 years ago, Peckham-based DJ Gilla has established himself a rep as an acclaimed selector in his own right, performing at various festivals across Europe over the Summer, hosting a monthly show on Balamii Radio, and appearing regularly presenting shows on Worldwide FM and for Bandcamp Weekly. First Word label manager Bobby dons a not-very-convincing alter-ego as his little Saturday job. However unconvincing, it has seen him receive props from the likes of BBC 1Xtra, Mixcloud & Fact Magazine, play several times on BBC 6 Music, and over the years regularly on Soho Radio, NTS, Itch FM and rock numerous clubs and festivals, from the capital to Croatia. The dance starts early evening with early bird tickets on sale now.